It’s hard to believe July 4th weekend is only a couple weeks away! We are gearing up for this red, white and blue filled holiday and celebrating our country with these great baking and decorating ideas. We love this great idea from Bakery Craft. 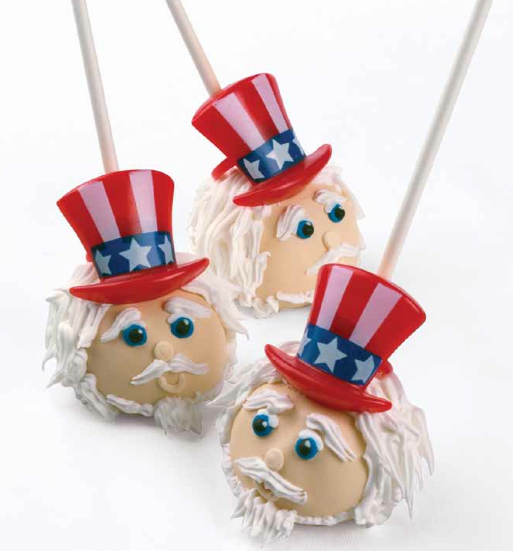 We think Uncle Sam would smile at these unique treats perfect for Independence Day! We just received these Puffy Patriotic Hat Cupcake Decorations in stock…and are great for cake pop or cupcake toppers. Are you yet to be hooked on the Cake Pop craze? Jump on board and check out some of our new Cake Pop baking and decorating items HERE. 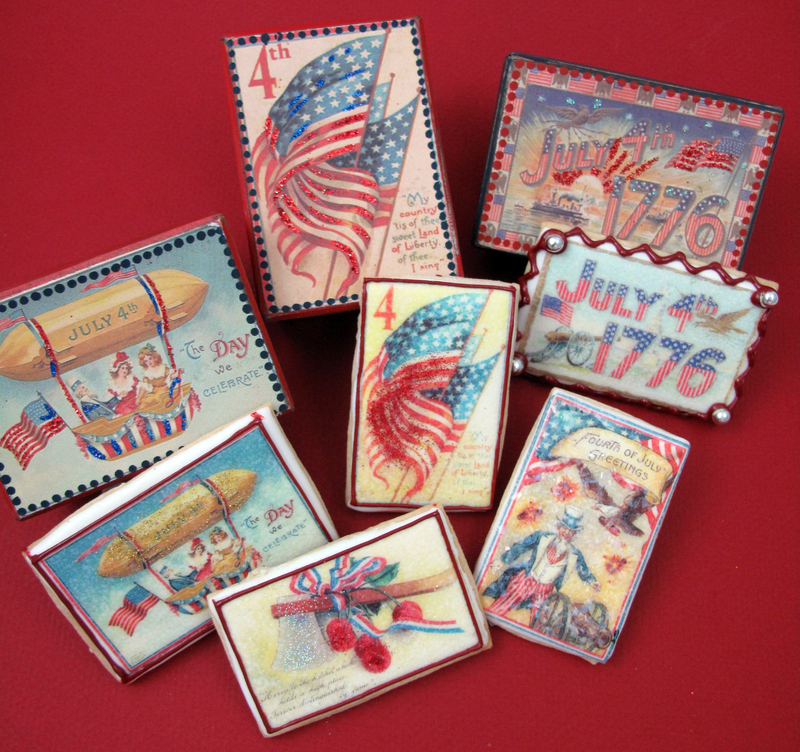 Add a hint of vintage to your July 4th Bbq with a lovely batch of Vintage Patriotic Wafer Paper Postcard Cookies! These little morsels couldn’t be more charming. We created these stunning cookies using our 1.5″ x 3″ rectangle cookie cutter and Tiny Patriotic Wafer Paper Postcards Set. Don’t forget the edible glitter or disco dustfor a great effect! Learn how to create these baking beauties HERE. 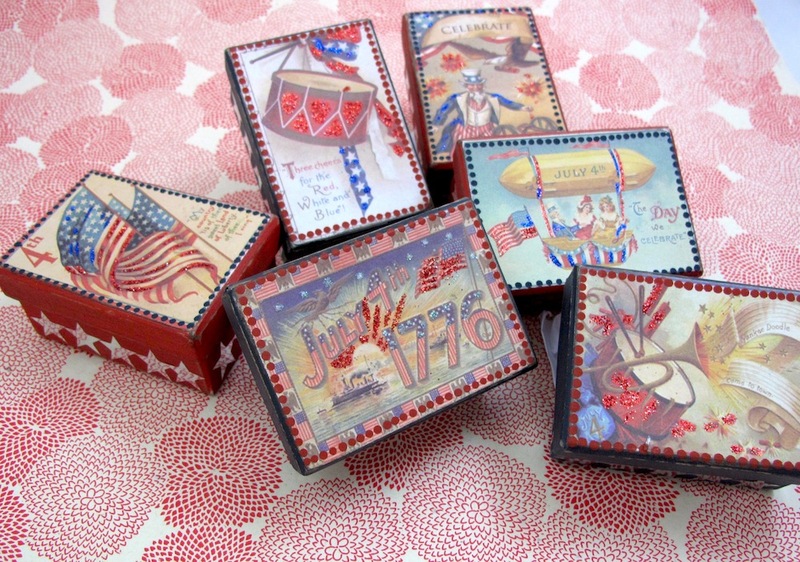 When you are all done baking, package up your treats in fancy favor boxes (Americana Treat Boxes) for all of your Independence Day guests!